I love gray and yellow together, don’t you? 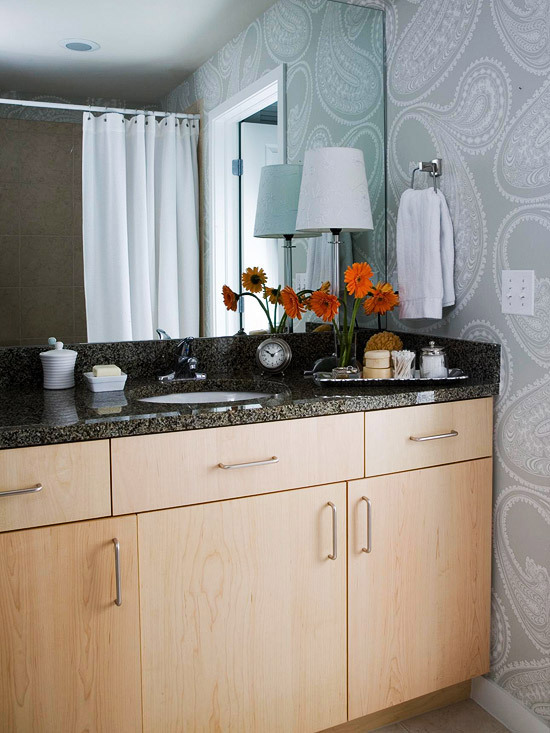 These are just a few ideas and pictures to show you how great a gray neutral can be for your room. There are many more color combinations that can work with gray, including purples and reds. 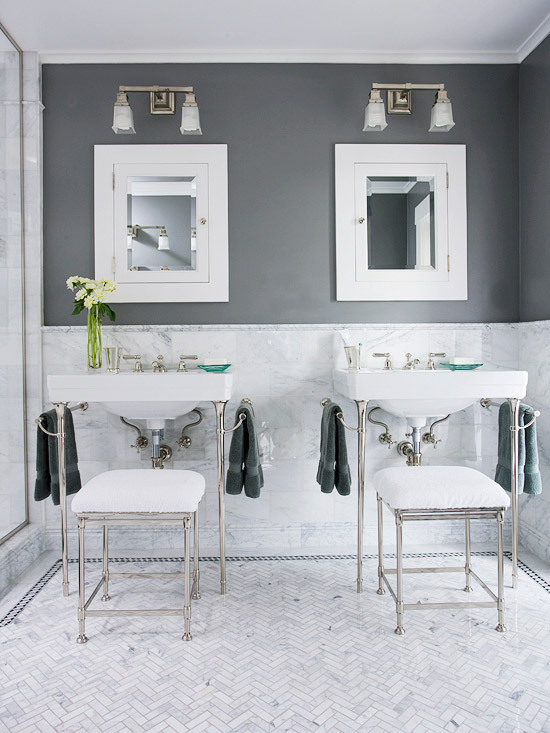 Which is your favorite color combination with gray? Comments? 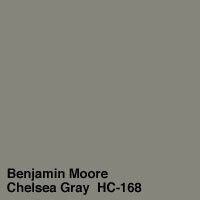 If you need help selecting the perfect colors for your home, contact me today! The colors from West Elm are not as “everyday popular” as the colors used at Pottery Barn. Both companies believe in the clean and simple look, but I think West Elm has an edgier, tougher look. These colors work well with their darker woods and other styles found in their designs. No pastels at West Elm! There is a total of 47 paint colors in the collection. West Elm also does not have their colors broken down into seasons as Pottery Barn does. There were only a couple colors they both share: Decorator White, Whitall Brown, Simply White and Chalkboard. The West Elm colors are definitely stronger and more intense than the Pottery Barn colors. 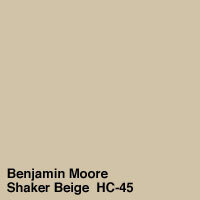 If you wanted to purchase the Ben paint colors sold through West Elm’s website, they are $35.95 a gallon. At Pottery Barn, Aura paint gallons are sold for $63.99 online. They both are great paints with low odor and low VOC. The difference is that the Aura paint is the best of the best. If you would like to read more about the paint differences, read here. So how do you like these colors? 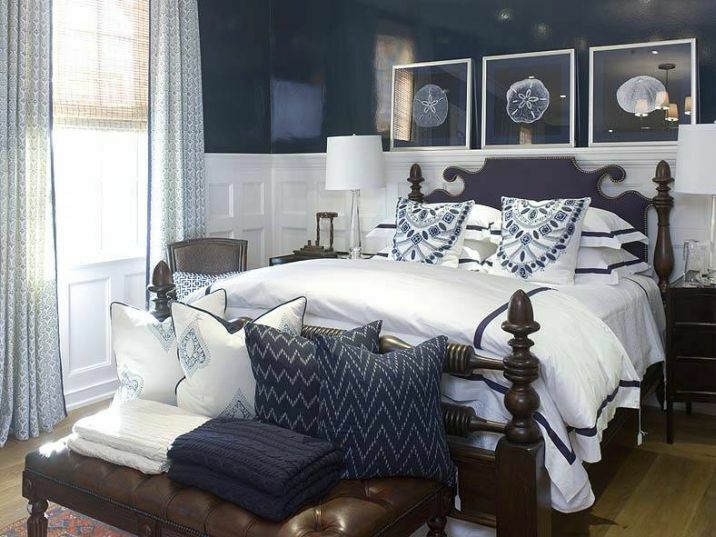 It is nice to see different painted rooms to give us other ideas and suggestions. Comments? If you need help selecting the best paint colors for your home, contact me today! Win $15,000 in prizes from West Elm and Benjamin Moore! Enter for a chance to win your dream home makeover. The grand prize winner will receive $10,000 in west elm products and $5,000 for a color consultation, paint contractor and Ben® paint and supplies from Benjamin Moore! It’s All in the Details Baby! What makes a home happy? I think it is the little details you add (or take away) from the room to make it special and yours. Look at that! Please learn from me. Paint those switch plates the same color as wall or they will stick out like a sore thumb. Lampshades: Time to update them? Just carry them to the store with you to be sure you get the right fit. Take a look at yours- are they straight with the seam in the back? Little details. 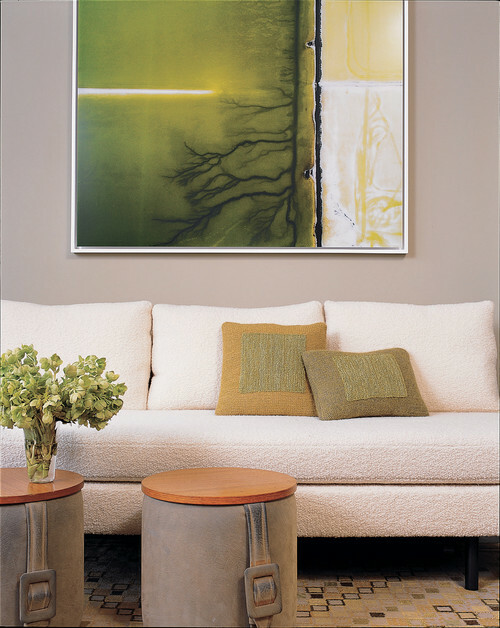 Is your art work hung correctly? For height, I usually bring in down three inches from where I think it would be right. Works every time. What is wrong with these pictures? If you have a pair or set of prints, bring them together with only 2” apart to make them more of a statement. Did you know you are supposed to have a black object in every room? By adding a black element such as a black box, a black picture frame or other black accent, you clarify and enhance all the other colors in the room. Another detail we should all be aware of is having a place to rest your eyes in the room. You should leave some empty wall space so your eyes are not overloaded! I also follow the design rule that states that any wall less than 36” wide should be left empty to avoid looking cluttered. That especially goes for between the windows! Flowers! I know, I know but they make such a big impact on detail! And my favorite ‘detail’ that I always am sure to include? At least one item per room that you love, vintage or new, quirky or silly, that makes you smile when you look at it. That is what makes a home happy! It’s all in the details my friends! ( see in the picture above how I forgot another detail? Can you guess what it is?) Comments? If you need help making your home happy, contact me today! I wanted to share this online color consultation with you because I think a lot of us share the same dilemma in our own homes.  I found your blog Understanding Beige Undertones so informative. I desperately need your expert help. (She really did write that!) I have painted my living room Huntington Beige. I want to keep my furniture the same. I also love the burgundy colored accents I have chosen. Something just doesn’t feel right. I don’t know if is is just not the right shade or maybe the wrong color choice all together? Yvette has beautiful furniture and accessories in her room. What do you think just isn’t working? Does anything look off to you? Yvette told me her walls were painted Huntington Beige which has green undertones. Can you see the green? Her sofa is brown with taupe mixed in. And what is the undertone of brown? Red. So to make the room work all together, I choose a red undertone color for the walls as well. I gave Yvette a few different choices to try, but she really liked the Shaker Beige HC-45. Do you see the difference? It is amazing how choosing the right paint color for the walls, with the same undertone as the furniture, brings it all together. We finally painted the living room. It looks wonderful!!! We love it!! Yay! I love to help people make their homes happy! 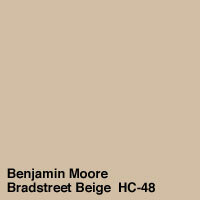 Other beige paint colors with red undertones that could also be tested are Ben Moore Muslin 1037, Stone House 1039 and Bradstreet Beige HC-48. When I look at photo’s sent to me online where the beige furniture (or tile or granite or flooring) undertones are not obvious, I first suggest a little homework to be sure we get the perfect color. I ask that they bring home a color sample of each beige undertone: yellow, red and green. I have the client put the color against the furniture (or tile or granite or flooring) to see which color sample is working best. It is much easier to see the different undertones when they are compared together. Are you seeing the undertones I am explaining? Any questions? Comments? If you need help finding the perfect wall color for your home, contact me today!